Located in London (Battersea), Stylish Battersea Park Home is within a 10-minute drive of Saatchi Gallery and Sloane Square. 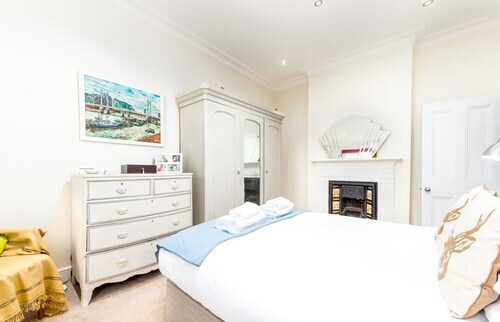 This apartment is 0.8 mi (1.2 km) from Battersea Park and 1.8 mi (2.8 km) from Natural History Museum. Make yourself at home in one of the guestrooms, featuring kitchens with refrigerators and ovens. Complimentary wireless Internet access keeps you connected, and DVD players are provided for your entertainment. Private bathrooms with separate bathtubs and showers feature deep soaking bathtubs and complimentary toiletries. Conveniences include separate sitting areas and microwaves, and housekeeping is provided weekly.